Bancroft(R) widespread bathroom sink faucet with metal lever handles Inspired by the traditional elegance of early 1900s American design, Bancroft brings a classic silhouette to the bathroom. This Bancroft bathroom sink faucet features two metal lever handles for precise temperature control, and a slightly curved spout with an aerator. Easy-to-install and leak-free UltraGlide(TM) valves and a pop-up drain and tailpiece complete the set. 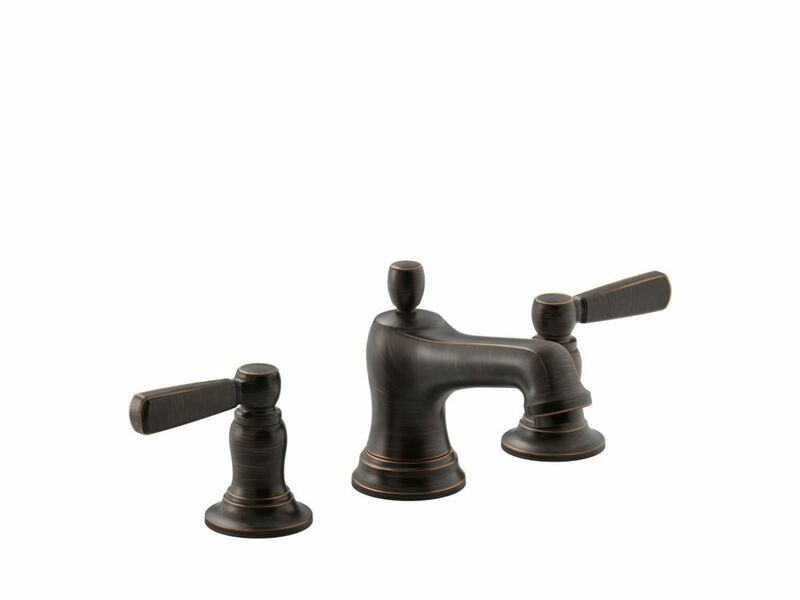 Bancroft(R) widespread bathroom sink faucet with metal lever handles is rated 4.0 out of 5 by 2. Rated 4 out of 5 by Smokey from The faucet is lovely, but the washers and screws were... The faucet is lovely, but the washers and screws were not included in the box. Rated 4 out of 5 by jwebb from The first faucet was delivered in what appears to have been a previously opended package. Unfort... The first faucet was delivered in what appears to have been a previously opended package. Unfortunately, it was damaged; but HD, promptly sent a replacement. The install was a breeze; faucet looks great. All is good. Kohler seems a bit pricey but their products have been very good in our home, including this faucet over the short time we've had it.